From the thick evergreen forests to mirror-like lochs – the Loch Lomond region is the perfect destination for exploring nature, or just getting some peace and quiet. The activities available are also among the very best things to do in Scotland, and are ideal for those looking for a romantic, getaway-from-it-all break. Fly or take the train to Glasgow for a couple of nights in the city, then hire a car to get out to Loch Lomond and its picturesque southern shores, which rest between the central lowlands and the Scottish Highlands. 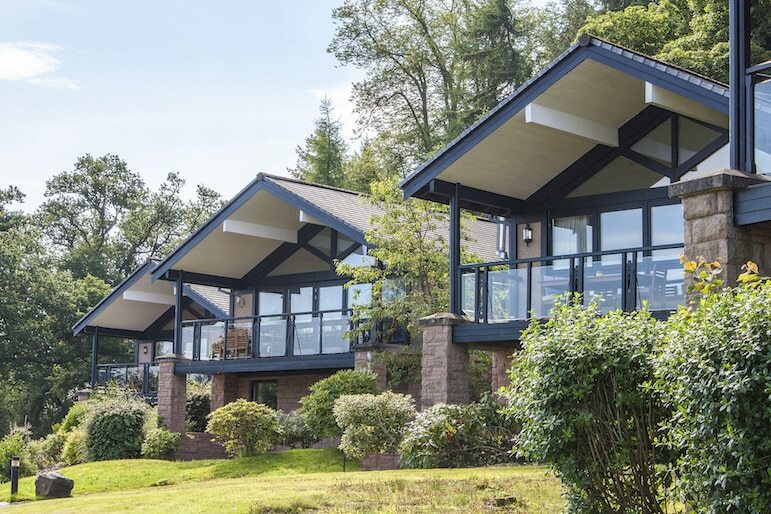 Here’s five Loch Lomond activities to enjoy, including ways to make the most of the beautiful luxury hideaway Cameron Lodges, nestled on the Loch’s southern shores within the five-star Cameron House resort. Cameron House operates luxury cruises aboard the Celtic Warrior. 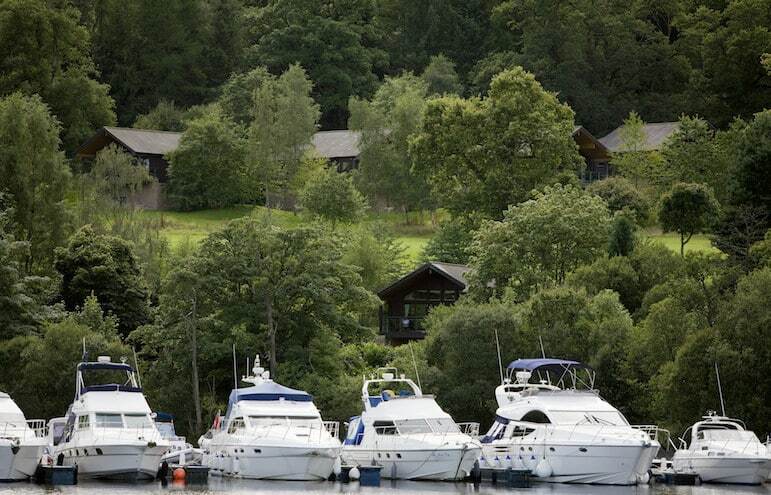 Sail off on a one-hour cruise gliding past the various islands and hidden coves on Loch Lomond, and toast to treasured memories with a glass of bubbly on the top deck. For views from a different angle, the resort’s seaplane provides a tour of the islands and highlands from above. Experience the wonderful scenery of the mountains and glens below, as you soar high above them, just like the graceful osprey birds often spotted in the area. As many golfers will attest, golfing is one of the most popular things to do in Scotland. 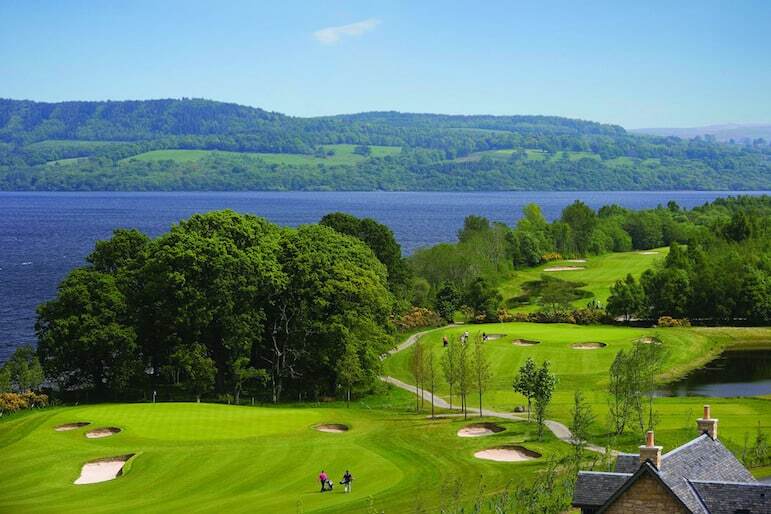 Don’t miss tee-ing off at some of the region’s acclaimed courses, with their spectacular loch views. Warm up at the resort’s tricky nine-hole Wee Demon course to get in the swing for the PGA championship course, The Carrick. A 71-par course with varying elevations, it’s the ultimate challenge. If golf is not your thing, there are many other active things to do in Scotland and plenty of other ways to enjoy the great outdoors. The region is home to a number of nature reserves, parks and gardens in which to enjoy the landscapes. Loch Lomond National Nature Reserve opens up two worlds in one, with a mixture of woodlands and wetlands for a visual, fragrant and memorable adventure throughout the seasons. In spring, amble through aromatic carpets of bluebells to the soundtrack of birdsong, witness osprey fishing in summer. In autumn, you’ll see the woodlands of Inchailloch Island turn golden, and winter is heralded by the distinctive call of geese flying overhead. 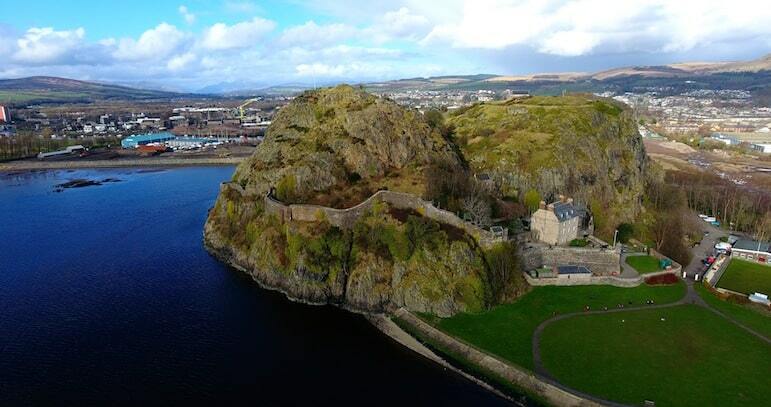 Dumbarton Castle is an 18th century military fortress which stands proud amidst the inspiring scenes of the loch, the River Clyde and the sprawling county of Argyll. Climb the 500 steps to stand atop one of Scotland’s greatest strongholds, and Dumbarton Rock, which fills the crater of a volcano, active more than 350 million years ago. In addition to its geological significance, discover its varied history as a royal residence, fortress, military base and prison, plus its connections to the Vikings, Mary Queen of Scots, and the Arthurian wizard, Merlin. Other stunning castles close by include Stirling Castle, and Inveraray Castle – the location for a Christmas special of Downton Abbey. Whisky is one of Scotland’s most notable Scottish exports and Glengoyne Distillery will reveal everything that goes into making the finest dram, with its bold and complex flavours. But if beer is your drink of choice, visit Loch Lomond Brewery, which produces award-winning ales using fresh water from Glenfinlas, in the western foothills of the Loch. Sip a Bonnie ’n’ Clyde for rich, citrus flavours or for a deliciously smooth ale, the Silkie Stout features notes of rich chocolate, coffee and a hint of orange. With three core beers, plus more than ten classic and occasional ales in the range, there’s surely a stout to suit you. Scotland overflows with talented crafters, so to visit Loch Lomond and not spend an afternoon shopping would be sacrilege. View artists at work at Icefire Glass, a glass studio and gallery hand-blowing ornaments inspired by fantasy, Scottish themes and heraldry, as well as wildlife. Foodies should head to Ardardan Estate to stock up on some local specialties to take home. Visitors to the estate can wander the farm and shop, woodland and walled gardens, and its tea room, which serves homemade lunches and sweet treats. And if you’re looking for souvenirs, Luss General Store in the picturesque village of Luss should prove fruitful. Browse the store’s selection of handmade Scottish soaps, candles and artwork, plus tweed, slate and tartan-inspired gifts made by the region’s finest artists and designers. 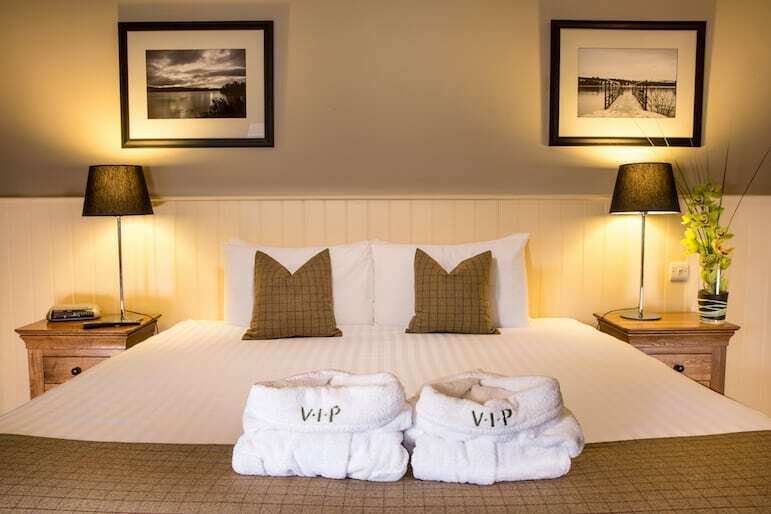 Cameron House seals the deal for families and couples who visit Loch Lomond in search of an invigorating break and the chance to reconnect with each other and nature, while enjoying the magic of Scotland’s landscapes. 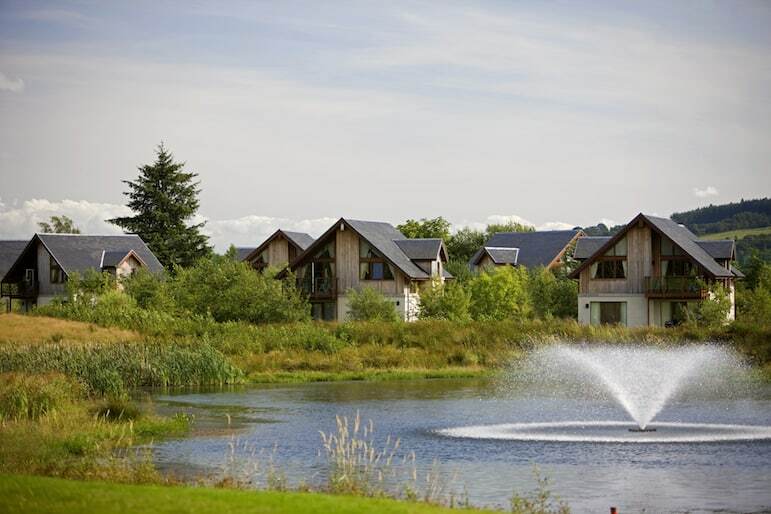 Choose from the resort’s one, two, three or four bedroom lodges, cottages or apartments, with views of the well-manicured grounds, golf course or the impressive loch. 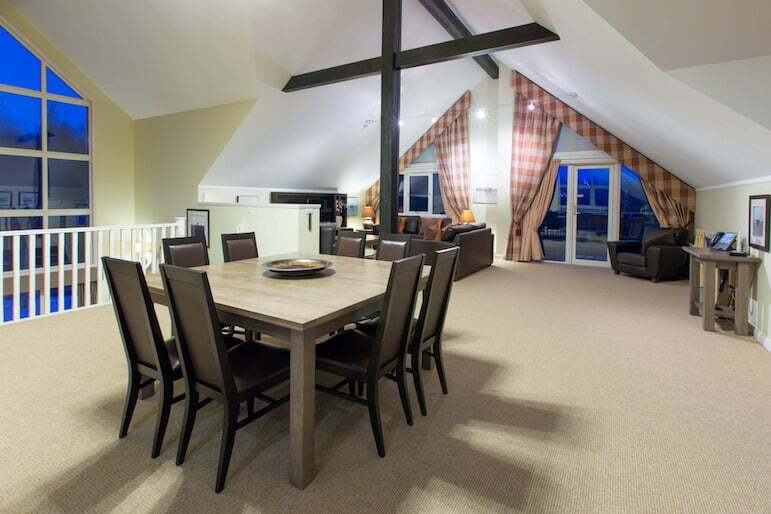 Each property features a large living-dining area, private balcony or terrace, all the latest mod cons and a touch of traditional Scottish décor which will make you feel like a lord or lady of Loch Lomond. 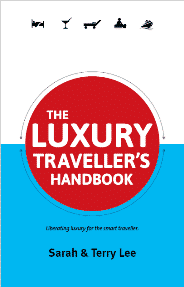 Once you check in, a range of five-star experiences await. Reserve some tee time at one of the resort’s two courses for a morning well spent. For ‘tee’ time of a different kind, the resort’s traditional afternoon tea served in the grand Drawing Room is a delightful experience. For a few hours of escapism, visit The Spa, just a short shuttle ride from the resort. 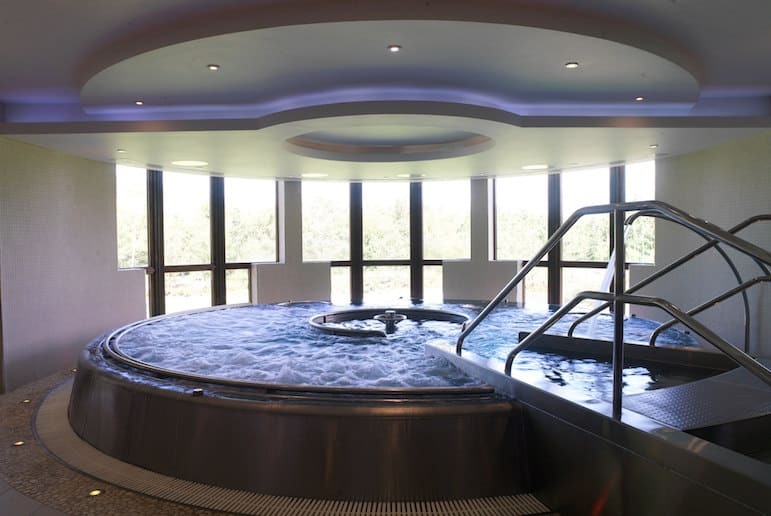 Rejuvenate the mind, body and soul within the 17 treatment rooms and the rooftop infinity pool with its views across the golf course and to the mountains on the horizon. Perhaps book an indulgent ESPA treatment, or add the finishing touches with a manicure before dinner. 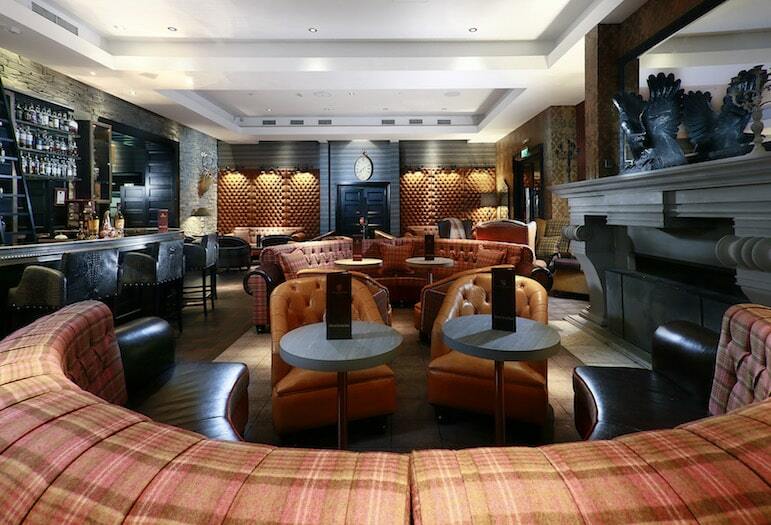 End the day’s proceedings with a touch of glamour at one of five restaurants. 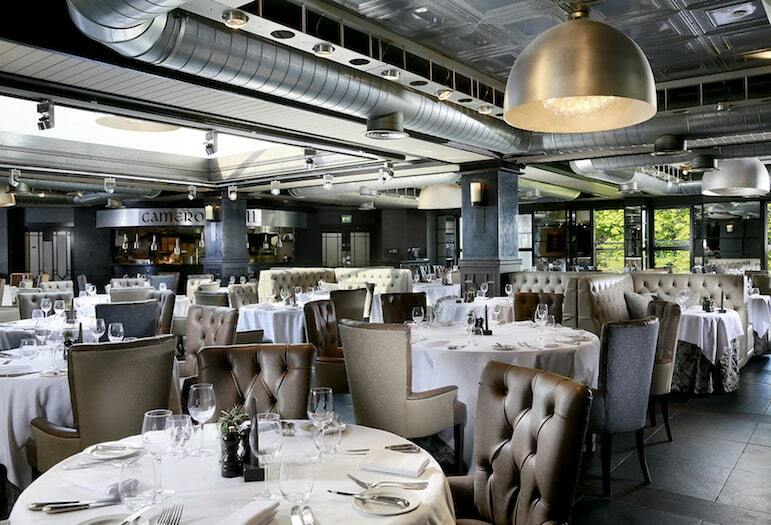 The Michelin-starred Martin Wishart at Loch Lomond offers an unforgettable selection of dishes, with wines curated by the acclaimed chef to complement. 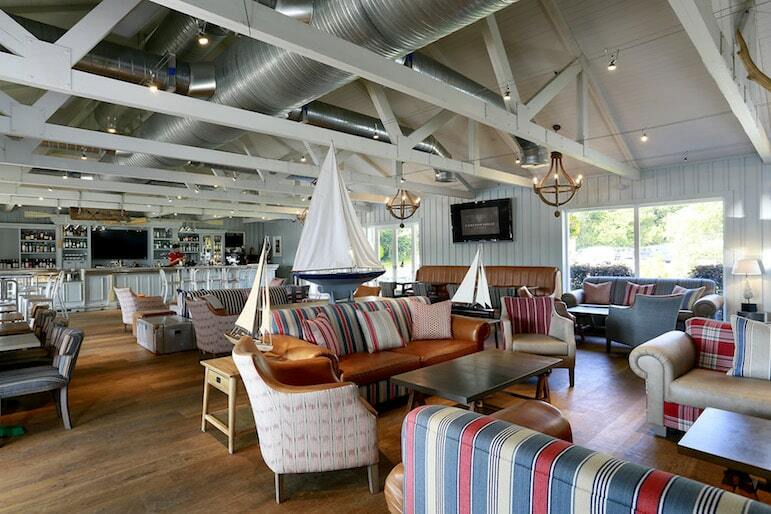 After dinner, time your nightcap for sunset at the Great Scots Bar and terrace. Order a whisky to toast your memorable holiday and watch as the sun begins its graceful descent into the loch. 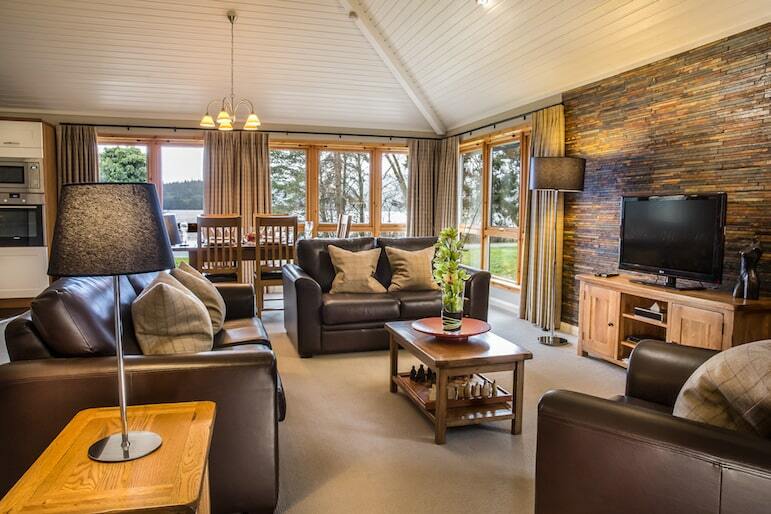 To find out more about the Cameron Lodges rental programme, call +44 (0) 871 222 4909, or email [email protected]. 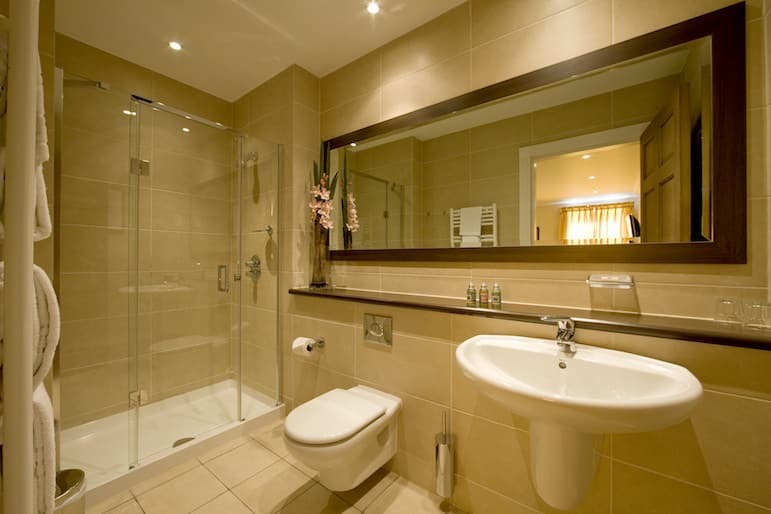 To Book online, visit Cameron Lodges. Own timeshare but not an RCI member? Unlock the potential of your timeshare and access the largest holiday exchange network with more than 4,000 resorts worldwide – visit RCI’s website to join today. Plus, get your first exchange FREE by quoting ‘RST10’. For inspirational member stories and more, visit RCI’s blog.